Scarem is made from a fuzzy black material with multicoloured wings. He has large sparkly gold and black button eyes, a bright orange nose and two tiny white fangs.The inside of his ears and his feet are made from a shiny orange material. Watch out or you’ll be my next meal! Scarem was introduced on 1st July 2014. His birthday is on 11th October. 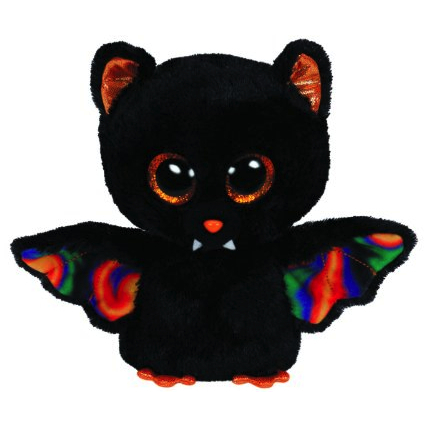 There is was a bat Beanie Baby released in 2007 also called Scarem. Scarem is a Halloween themed Beanie Boo.